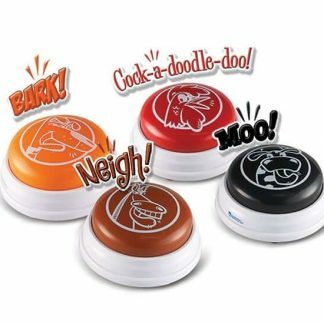 Four easy to press Answer Buzzers reward play with four distinctive sounds. 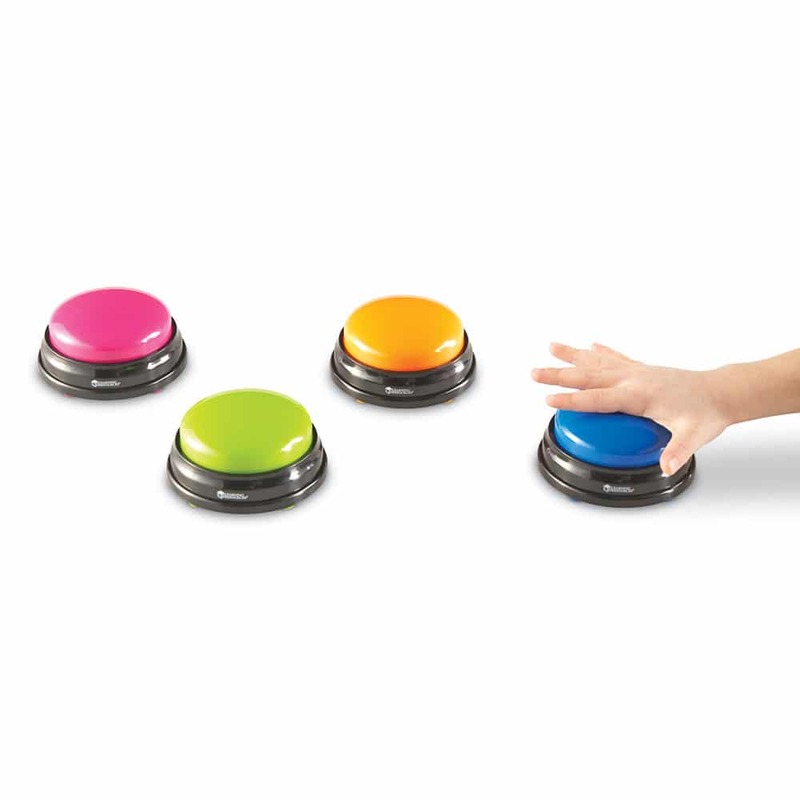 Game-show buzzers™ turn any lesson into a game. 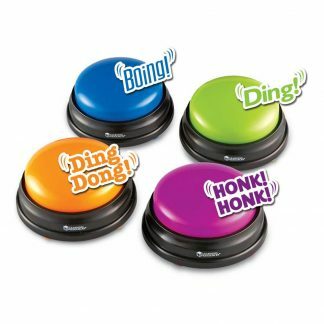 Four different colors and fun sounds: horn honk, boxing bell, doorbell, and “boing!”. 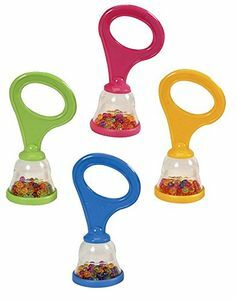 Each measures 3 1/2″ diameter and requires two AAA batteries, not included. 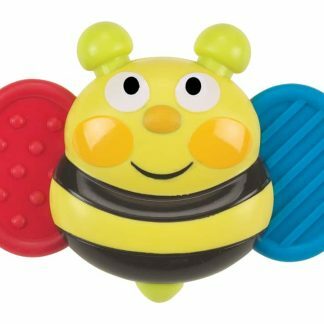 Buzzers are easy to press. 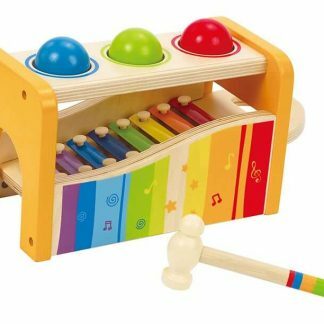 Finding toys suitable for severely disabled students is a challenge. 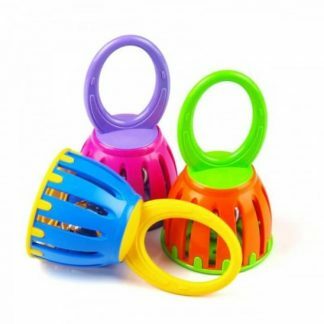 Answer Buzzers meet the challenge for many, delighting and reinforcing cause and effect.